Electric trailer brakes require a brake controller. This device modulates the electric current sent to the electric trailer brake when you press the brake pedal in your car. The controller is connected to the vehicle battery and the stop light switch. Depressing the brake pedal energizes the controller. There are two basic types of electric brake controller: proportional and the time delay. Proportional controllers, sometimes also called inertia controllers, have a mechanism that determines how rapidly the tow vehicle is stopping and modulates the power to the trailer brakes proportionally. With this type of controller the trailer brakes are applied at the same time, and at the same rate, as the tow vehicle brakes. A time delay controller, on the other hand, has controls that must be adjusted by the driver to compensate for differing trailer weights and the moment when the trailer brakes are applied. 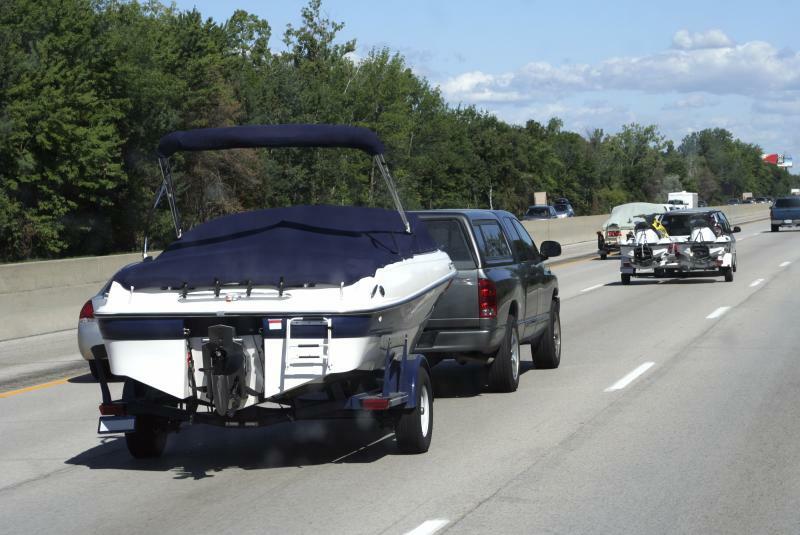 An improperly adjusted controller results in too little or too much stopping assistance from the trailer. Electric trailer brakes work much the same as do drum brakes on cars and trucks. There are two brake shoes for each wheel, each is a half-moon shape. They are loosely fastened to the brake backing plate with their friction surfaces facing away from each other to form almost a full circle. The shoes rest against a stop at the bottom, while at the top they rest against the actuating arm. This arm extends down the front of the brake shoes. An electromagnet attaches to the lower end of this arm. The backing plate bolts to a flange on the trailer axle, through which the spindle for the hub and bearings passes. The hub, which contains the wheel bearings, is an integral part of the brake drum. The drum resembles a round cake pan, but is made of heavy cast steel. The inside surface of the sides of the "pan" are machined smooth. This surface is what the brake shoes press against when the brake is applied. When the hub and drum assembly is installed onto the spindle, the inner surface of the drum is a fraction of an inch away from the friction surface of the shoes, and the magnet is very close to the front inside of the drum. Electric current from the brake controller energizes this magnet which in turn tries to attach itself to the spinning brake drum. The rotating motion of the drum causes the actuating arm to pivot, spreading the brake shoes, causing them to come in contact with the brake drum and apply the brakes. 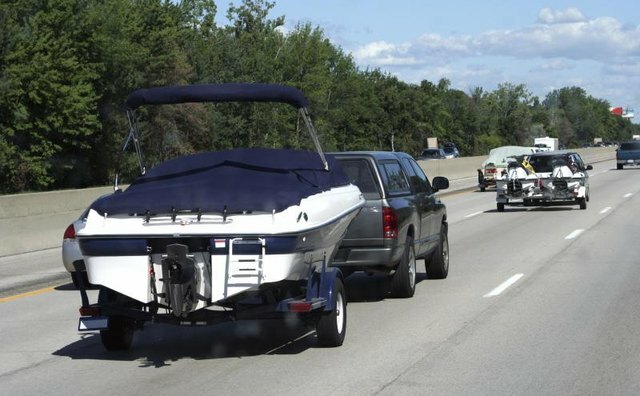 Most states require that trailers using electric brakes be equipped with a safety circuit, called a breakaway system, designed to apply the brakes if the trailer disconnects from the tow vehicle. This system consists of a battery mounted on the trailer and a normally closed switch. The contacts of the switch are separated by a piece of non-conductive plastic to which a lanyard is attached. The other end of the lanyard is attached to the tow vehicle. If the trailer detaches from the tow vehicle, the lanyard pulls the plastic separator removing it from the switch contacts. The switch closes and applies current from the on-board battery to the brakes, stopping the trailer.